PDF from V70XC.com, how to change bevel gear fluid on 1997-2002 Volvo AWD cars. 2003+, you have a Haldex system, with additional fluid to maintain. 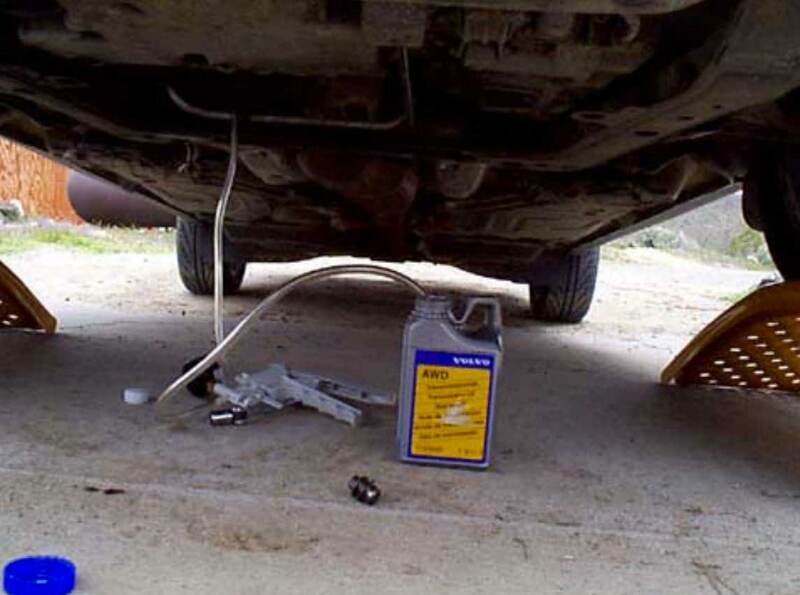 Here’s a downloadable PDF from V70XC.com on how to change bevel (angle) gear fluid on 1997-2002 model Volvo AWD cars. For 2003+, you have a Haldex system, and it’s got an additional fluid to maintain. Unfortunately, no drain plug is provided! After a conversation with a Volvo service manager, who told me that they always install a drain plug in the housing (by drilling and tapping the aluminum case) at the 60K service (and change oil every 60K thereafter), I decided that it must be done on my car but without the drilling and tapping for a drain plug. What follows is the method I used. For those concerned about the health of their notorious mechanical Volvo AWD system used on 1997-2002 Volvos, longtime technician Dave at Volvo Specialists told me they’re actually very robust AWD systems, you just have to ALWAYS maintain the same size tires on all four corners. He has 160k miles on his 1999 V70 AWD and he’s never had one problem with the bevel gear. He mentioned a customer who drove 300 miles on new tires — one a smaller, accidentally-installed tire — and at the end of the 300 miles the bevel gear was torn to pieces and smoking hot. The tire shop put on three 60-series tires and one 55-series (or vice-versa, I forget). The shop ended up paying for the bevel gear repair. 1998 Volvo v70 xc - awd fuel pump issue?